← The Bartelemy, Lyford & Ailing Coverlets, …Tied Beiderwald Woven, w/. Jacquard Attachment. Before cars became popular there was much less use of oil based fuels. 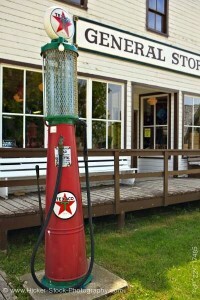 Some gasoline was used to power hit or miss engines, but most gas and kerosene was used in lamps (The first commercial use of gas was in 1865, when Charles Gilbert and John Barker partnered to build the Springfield Gas Machine that boiled gasoline into gas vapor to allow gas lamp lighting in homes and buildings.). There were no gas stations. 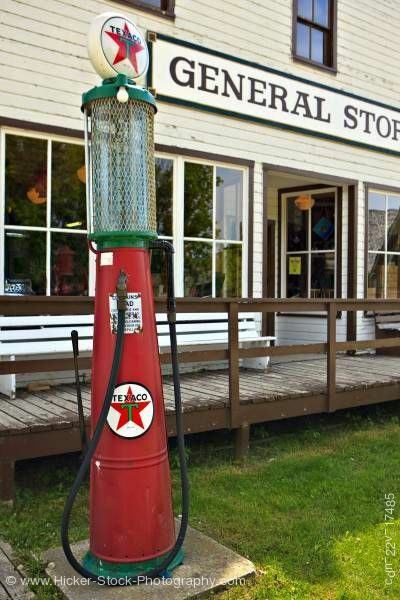 Just pumps often standing on the porches or in front of Gen’l Stores. 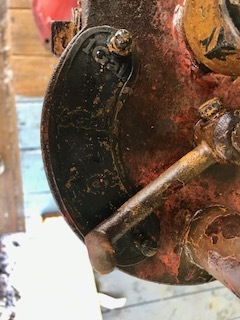 Many early pumps had a simple clock face gage to measure the number of gallons pumped. But that soon became unpopular because customers could not actually see how much gasoline was being delivered. As towns grew and travel increased, folks less often personally knew the gas seller, so trust oft times came to be questioned. The earliest pumps had a handle that when cranked would pump gas out of a storage tank directly into a hose, then hence directly into the car gas tank. Because of the problem of sometimes maybe not trusting the seller to give a fair measure, some folks took to carrying a measured can which they would first have the gas pumped into, then pour the can contents into the car gas tank. This proved unwieldy, so a new type of gasoline pump was invented, often called visible globe pumps. 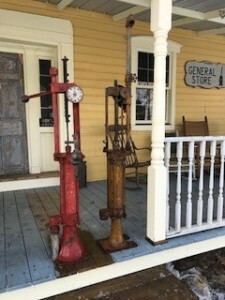 These improved pumps would first deliver the gas into a gas globe that sat on top of the pump as the handle was turned. Then the clearly measured gas would flow down a hose to the customers can or tank. 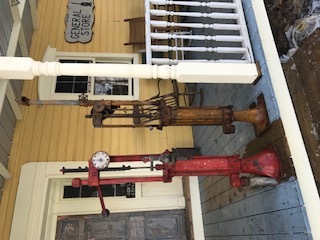 The Museum now has two early clock face gas pumps, and one early kerosene pump, whose gage would measure one gallon, 1/2 gal. and 1 qt. at a time. 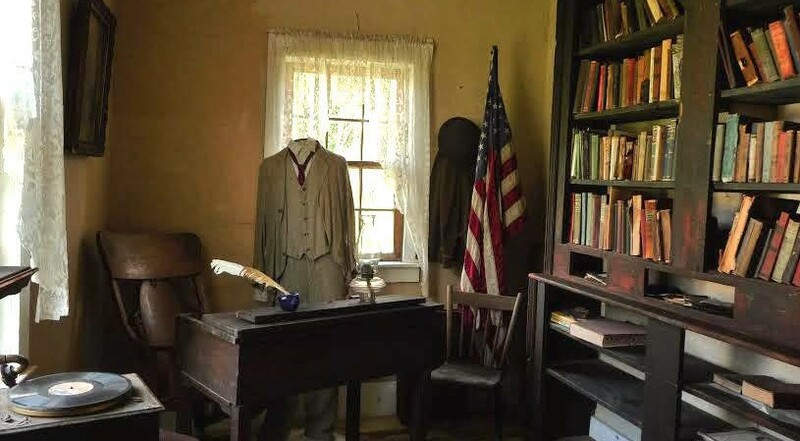 They can be seen at the museum’s Gen’l Store.